Before we start, let’s take a moment of silence, remembering those who were lost on this day, the day that affected our U.S. country. And, thank you to those from other countries who join in remembering. We appreciate your show of love and respect. What Is the Internet Saying? How would Sana describe herself? Let's ask her! How would you introduce or highlight some aspects of TwChat, Sana? What makes TwChat visually different from other Twitter chat tools is a two-column layout: main chat and mentor chat (again, that works best for QA type of chats). #1 TwChat allows you follow participants, retweet, favorite and reply to tweets right within the chat room - so conenient, no jumping between the windows, no popups, etc. Sana - what other tips are there, for users / participants in the chats? 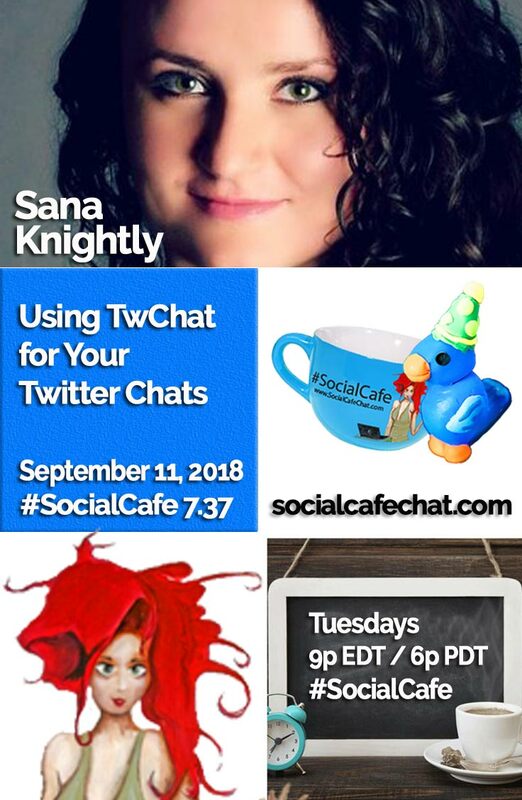 This SocialWebCafe Twitter Event is about Using TwChat for Your Twitter Chats (Featuring Sana Knightly). As we have all learned by now, it helps if we have the right tools for whatever it is we are doing, wouldn't you say? And, that definitely goes for what we are doing online! Fortunately, we have a team of people who have our backs covered when it comes to Twitter Chats. Sana Knightly is joining us and will be sharing a bit about TwChat - the online tool for Twitter Chats. 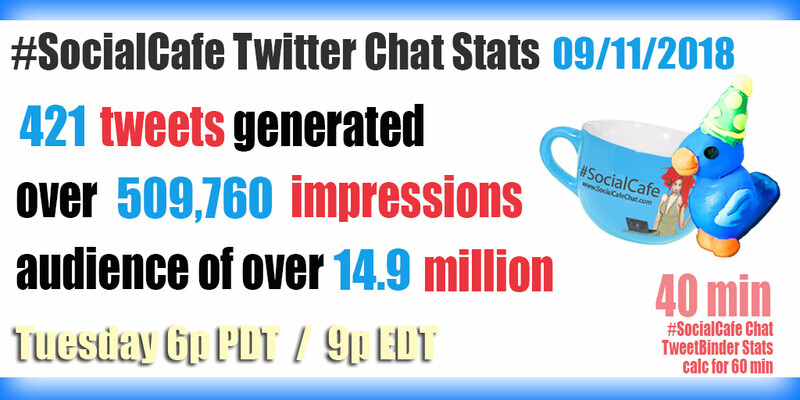 By the time we are done, I'm sure you will be convinced that this is the tool for you, whether you are hosting or attending twitter chats.